So because i ditched the stock dash bar and welded a new bar between the two A pillar bars, there was now nowhere for the steering column to mount anymore. 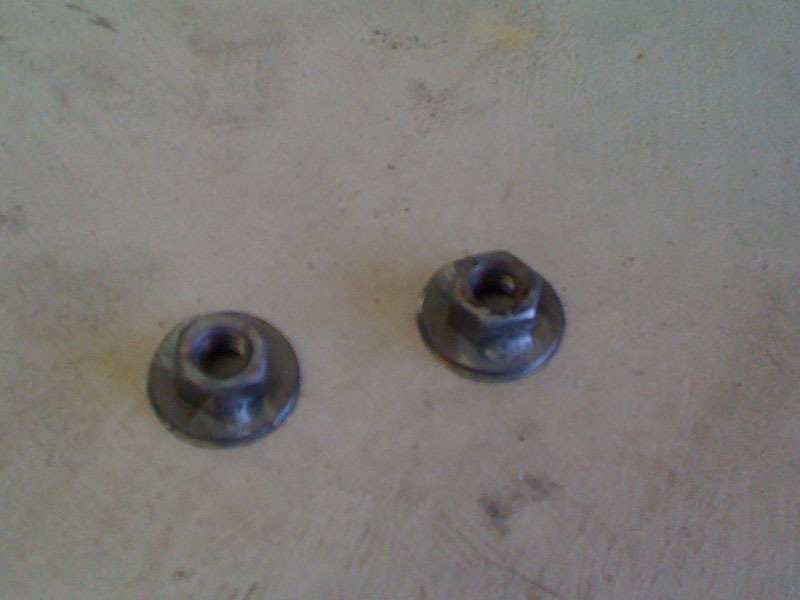 Here is the start of the new mounts, washers with some m8 nuts tacked on. 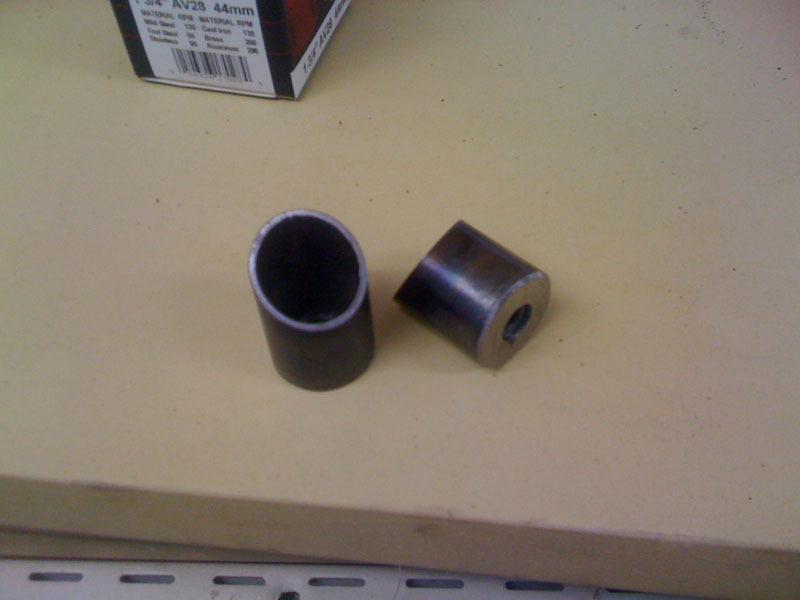 Then welded into some 1" tube i had lying around. Cut on an angle and cleaned up. 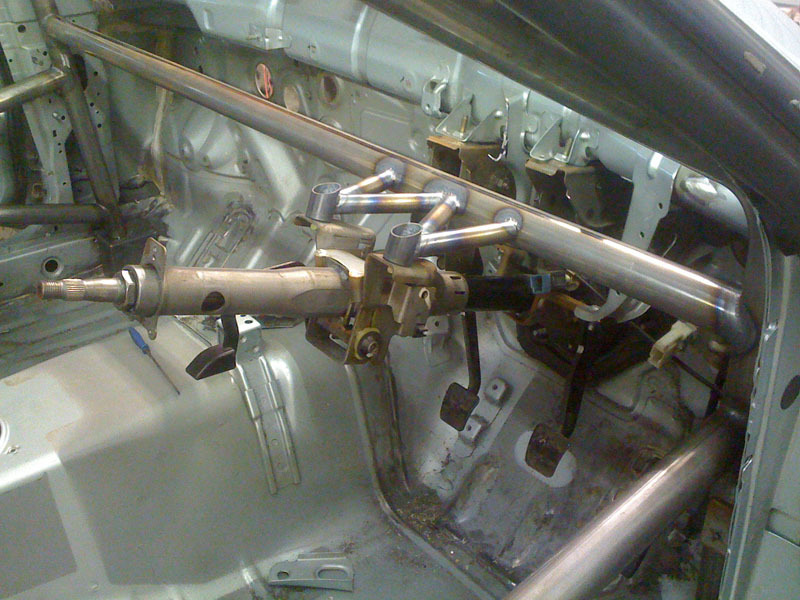 I bolted these to the column which i had made sure was sitting in the stock position before ditching the old dash bar. 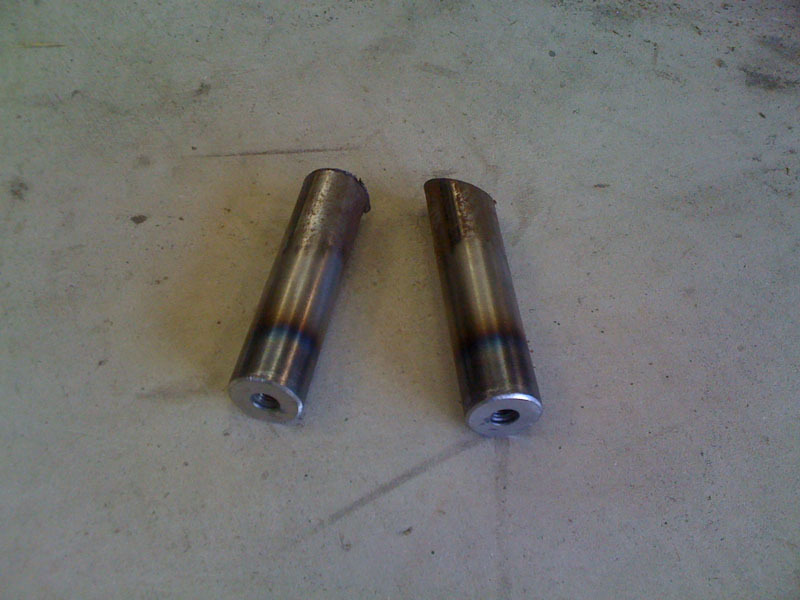 These are tied into the new bar with some 19mm tube. 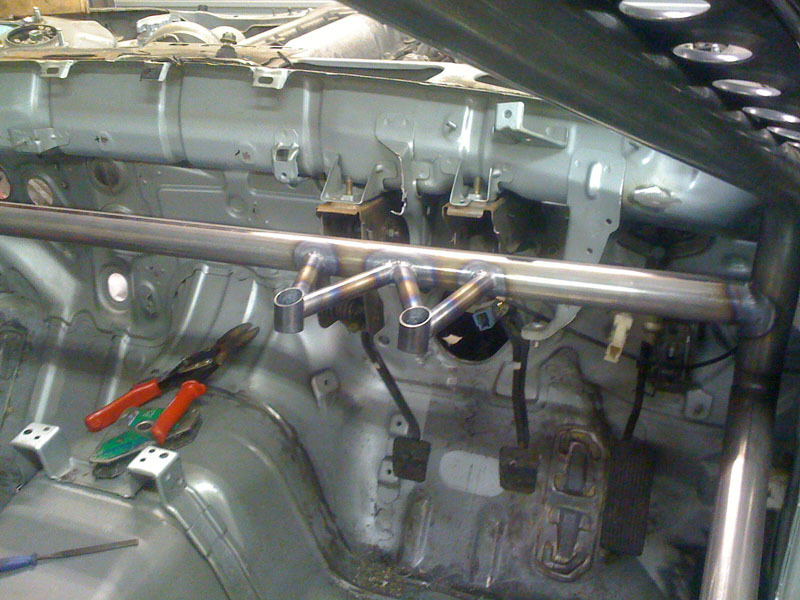 And finally i pulled the column back out to final weld the mounts.